Norman H. Chenven, M.D., is the Founder and Chief Executive Officer of Austin Regional Clinic (ARC), a 330 physician multi-specialty medical group that serves the greater Austin metropolitan area with 21 clinical locations. ARC provides care to approximately 380,000 Central Texans in seven cities. 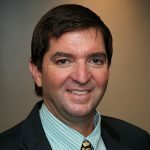 He is also President and Chief Executive Officer of Covenant Management Systems (CMS), an Austin-based practice management company, third party administrator and medical management organization that provides technical support and services to hospitals, medical groups, provider networks and governmental and employer based health plans. Dr. Chenven served as the first Medical Director of PruCare of Austin, a group model HMO, that brought managed care to Austin in 1980. In 1987 he was appointed Medical Director of Prudential Plus of Austin. He is President of Austin Regional Independent Associates (ARIA), a local independent practice association that develops and provides physician networks for partially self-insured ERISA plans. In 2012, he was appointed Chairman of Seton Health Affiliates, a Medicare Accountable Care Organization established under the Affordable Care Act. Dr. Chenven is a member of the Travis County Medical Society, Texas Medical Association, Texas and American Academy of Family Physicians and American Medical Association. He has been on the Board of Directors of the Travis County Medical Society, Texas Academy of Family Physicians and an alternate delegate to the Texas Medical Association. Dr. Chenven is a Family Practitioner who spent two years in the U.S. Indian Health Service on the western Navajo Reservation before moving to Austin in 1973 to begin his medical practice. He has participated on various boards and advisory councils including Texas Medical Association’s Select Committee on Patient Safety, Blue Cross Blue Shield of Texas’ Physician Advisory Council, United Healthcare’s National Physician Advisory Council, the Group Practice Advisory Committee to American Medical Association Board of Trustees, CIGNA’s National Physician Advisory Committee and the Council of Accountable Physician Practices (CAPP). He recently completed four years as a Board member of the American Medical Group Association (AMGA). Dr. Chenven served a three-year stint on the board of Greater Austin Chamber of Commerce and Chaired the Chamber’s Education and Workforce Development Council for two years. He received the Chamber’s Executive Leadership Award in 2013. He received his undergraduate degree in physics from Brown University, medical degree from the State University of New York Medical Science Center in Brooklyn and post graduate medical training at Bexar County Hospital in San Antonio, Texas.